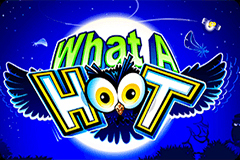 Party-going owls are the subject of the What A Hoot pokie, which comes from the trusted and reliable Microgaming developer. It’s one of those games where someone has thought of an amusing title and built everything else around it, but it leads to a pokie filled with colourful images of wacky wildlife, although players won’t be able to feather their nests with much in the way of bonus wins as all we have here are wild substitutions and scatter payouts. But those players who appreciate simple formats like this should enjoy spinning the reels and seeing the cartoon images land in the right places for some nice rewards, which tend to appear quite frequently. Older Microgaming pokies tend to have a similar style and What A Hoot is a typical example, with somewhat flat-looking symbols, however they are clear and colourful enough and all related to the theme, with none of the playing card icons that appear in so many other games. There’s only 9 paylines here, which is another indication that this is an older game, with players able to see where each line starts and finishes by looking at the coloured indicators that sit on either side of the 5 reels. Control buttons are used to determine the bet size, with an option to stake between 0.25 per spin up to 90.00. A paytable shows how much each winning combination is worth and prizes come from landing 2 or more high-value, or 3 or more lower-value matching symbols across adjacent reels on an active line running from the left. Acorns, chestnuts, sesame seeds and red berries make up the lower end of this table, with the acorns being worth 10x, 25x or100x the line bet when 3, 4 or 5 fall in the right places. Various owls populate the upper end of the paytable, with each one having a great time, whether it’s the white owl in a party hat, the blue one with a paper blower, the yellow owl reading a joke book, or the brown owl holding a drink. He’s the most valuable owl symbol and pays 5x, 80x, 250x or 600x the line bet when 2, 3, 4 or 5 land across and active line and the What A Hoot logo tops off the table by paying up to 5000x the line bet. There isn’t much in the way of bonus features, but it isn’t completely bare as we have a wild symbol that sees several pairs of owl eyes staring out from a tree. 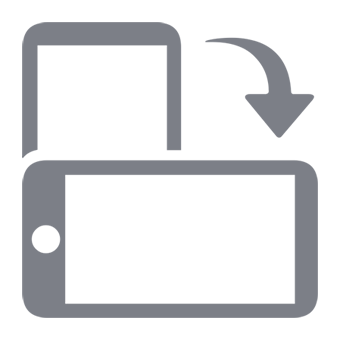 This will replace all but the scatter symbol, helping to create extra winning lines, although it has no value on its own so even a full line of wilds won’t be worth anything. However, any time it stops on a line on reels 1 and 2, it’s bound to make up a winning combination, as whatever is on reel 3, will be enough to complete a line. Unless it’s the scatter, in which case, bad luck. Many games have multiplier wins in effect when the wild completes a line, but unfortunately that’s not the case here and similarly, scatter symbols usually trigger some sort of bonus game, but not the one in this game. The scatter is a jar of fireflies, which doesn’t seem an obvious fit with the theme, but never mind, as it pays out multiples of the total stake when landing in any 3, 4 or 5 positions at once. Wins of 2x, 10x and 50x result from these, but that’s all that happens. A Hoot or a Howler? Someone’s opinion of this game is entirely up to how much they like bonus rounds. Without even a free spins game to break up the proceedings, What A Hoot is one of the more basic 5 reel pokies, more like a traditional 3-reel machine than many others. But many players are looking for just this type of game, as it’s easy to learn and can pay out frequent prizes, so if simply spinning the reels is what appeals to you, these ones are well worth investigating.